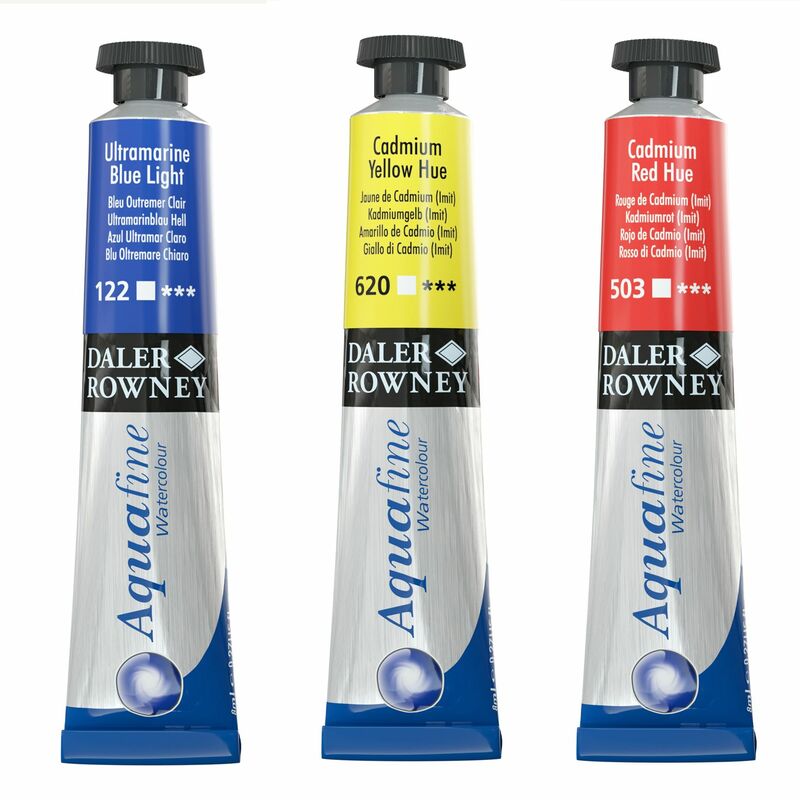 Created with Daler Rowney's expertise in watercolour paints, the Aquafine Watercolour range offers free-flowing, vibrant and transparent watercolours, ideal for students and leisure painters alike. Thanks to Daler Rowney's heritage and close ties to artist Joseph Mallord William Turner, the brand has been developing high quality ranges of watercolours since the 19th century. The Aquafine Watercolour range colours have excellent working properties, and can be used to create beautiful and delicate washes. The complete range consists of 37 colours, available as a 8mm tube or Half Pan.